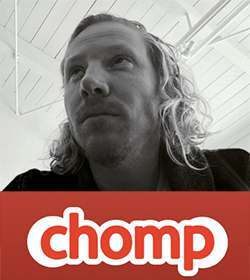 Four years ago, Apple purchased App Store search and discovery company Chomp, gaining Ben Keighran as an employee. Keighran went on to have a pivotal role developing the "look and feel" of the software on the new Apple TV, but according to Re/code, he's now leaving the company. Keighran participated in the development of tvOS, the software that runs on the fourth-generation Apple TV. tvOS marked a huge step forward from software on previous Apple TV set-top boxes, introducing Siri support and a full App Store. According to Keighran, it also incorporates search and discovery elements that he created with Chomp. In the tvOS development hierarchy, Keighran worked under Bill Bachman, who oversees Apple's media apps. Bachman reports to Robert Kondrk, Apple's vice president of iTunes content, who reports to iTunes chief Eddy Cue. Going forward, Keighran plans to create his own "iconic company," but says the decision to leave Apple was difficult. While Keighran wouldn't give Re/code behind-the-scenes details on Apple's television development plans, he says Apple "looked at many different ways of delivering an awesome TV experience." To be honest, I thought App Store search has only gone downhill since they acquired Chomp. Moving from a list of results to a single page result that you have to flip through is pretty terrible unless you are the number one app already (Good for things like Twitter/Facebook/Instagram/Apple apps/etc, bad for small developers.) It basically turned the App Store from a place where users could discover apps to a showcase for the basic essential apps available on iOS. I can't remember the last time I have actual found a cool new app via the App Store itself, now it is pretty much all via Twitter or Product Hunt and the App Store is now just the distribution platform. The Mac App Store could be great, if Apple would just overhaul it. I only use OS X and iOS; Apple has made, and still does make an amazing operating system and apps. But really, the Mac App Store is just painful to use, it easily is one of the worst parts of OS X, other than the click-to-update/install. The search, discovery, the UI (for instance, the tiny description font with no way to increase its size,) crippled interaction, etc. just make it mostly unusable. I only download apps in the MAS if they're not available from a developer's site, i.e. instead they have a MAS link only. Agree 100 percent. Apple has great taste and design in a lot of areas, however the MAS, and in particular Mac software updates are shocking.... Broken progress bars, stalled, stuck and disappearing updates - it feels like the whole back end is made of Papier-mâché, and is not robust at all. The old Software Update mechanism was excellent and always generally reliable and robust. A big re-engieering is required here, hopefully Schiller will get on the case. Siri support within other apps/countries is abysmal (Where is the API?). The ATV app store is a mess. And the blindingly white interface on a TV is a joke. Also my sound system exhibits annoying pops whenever I navigate the home screen, which still hasn't been fixed, and numerous people have complained about (though admittedly probably has nothing to do with this guy). iOS 1.0 was a great OS. I don't think tvOS is a disaster, but it certainly has lots of problems that shouldn't have been shipped in the state it is. If this guy was actually responsible for designing tvOS, then this can only be a good thing for Apple. And the guy who lead the watchOS project is Alan Dye ('http://www.apple.com/pr/bios/alan-dye.html'), who now unfortunately leads UI Design for Apple. He has no UX background and it appears he has no natural eye for it either, given the stuff he's let go out the door. He concerns me. Bluetooth keyboard? you do understand not everyone owns a Bluetooth keyboard? What? How is TV 4 interface anything like the original iPhone OS? The design on my old TV 2 is more reminiscent of original iPhone OS than this is. I wonder if things will change now that Phil Schiller is in charge. It seems like almost everything under Eddy Cue is a cluster**** so I'm hopeful things will get better with Schiller. or maybe he just got fired...and not actually leaving on his term. Totally agree. Let's add the removal of features that were working on the old units like blue tooth keyboards, removal of free broadcast radio app, and Album art in music that sits stagnant in the middle of the screen on the white background. I find it irritating that they took the album art animation away and prefer the dark background. Just my opinion. good, apple TV is so far behind in software design behind all other apple products, let's hope the change is for better.